Post-Impressionist painter and draftsman whose iconic work, "A Sunday Afternoon on the Island of La Grande Jatte," exemplified his pointillist style. He was trained by the famed Henri Lehmann at the École des Beaux-Arts. His work heralded the beginning of the Neo-Impressionism and Pointillism movements. His most famous painting, 'A Sunday Afternoon on the Island of La Grande Jatte,' became the inspiration for the Broadway musical, 'Sunday in the Park with George,' by Stephen Sondheim. 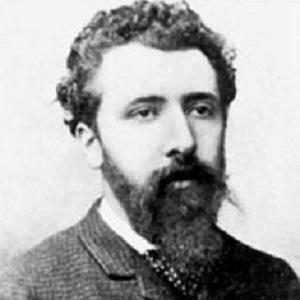 He was born into a wealthy family to Antoine Chrysostome Seurat and Ernestine Faivre. He had a son named Pierre in 1890 with then-girlfriend Madeleine Knobloch. He and Paul Cezanne were both classified as Post-Impressionist painters.